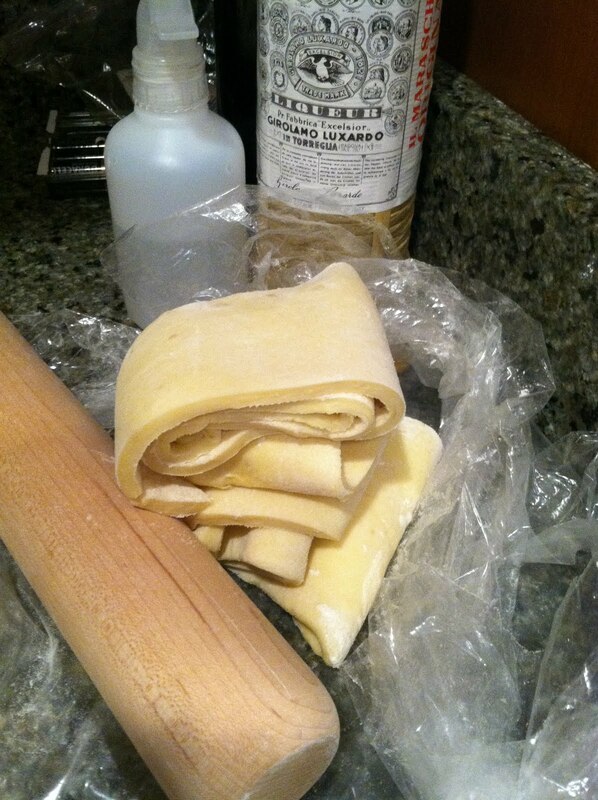 Now that we’ve made our puff pastry (if you haven’t, check out my recipe here). This is a lot of puff pastry. 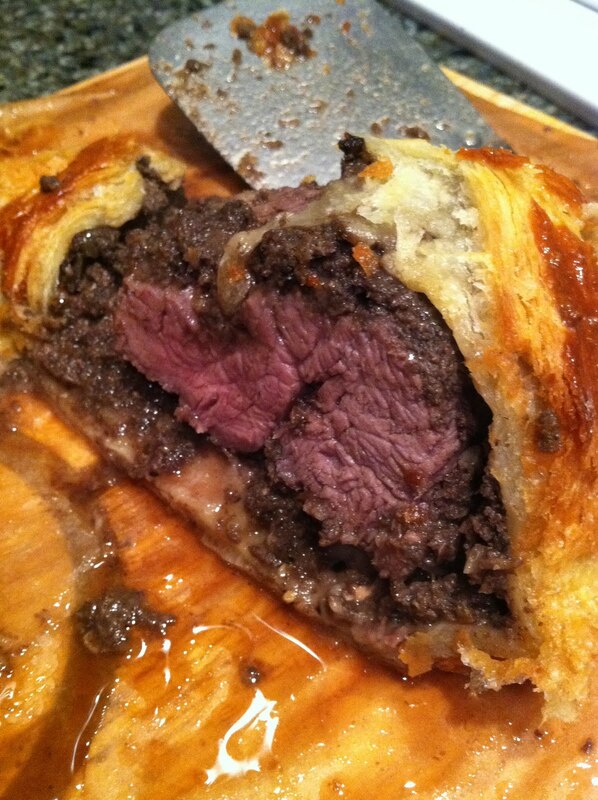 Since we have a ton of beef in the freezer that we need to get rid of, we decided to make Beef Wellington. 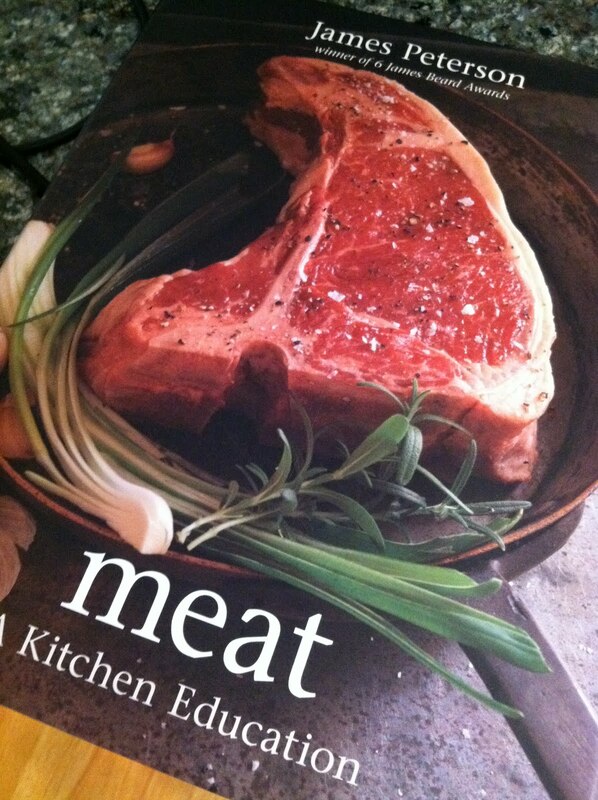 Our recipe is from one of our favorite cookbooks, MEAT by James Peterson. This is one of those recipes that you might want a partner to help you with, just so you can get dinner on the table before 10pm. 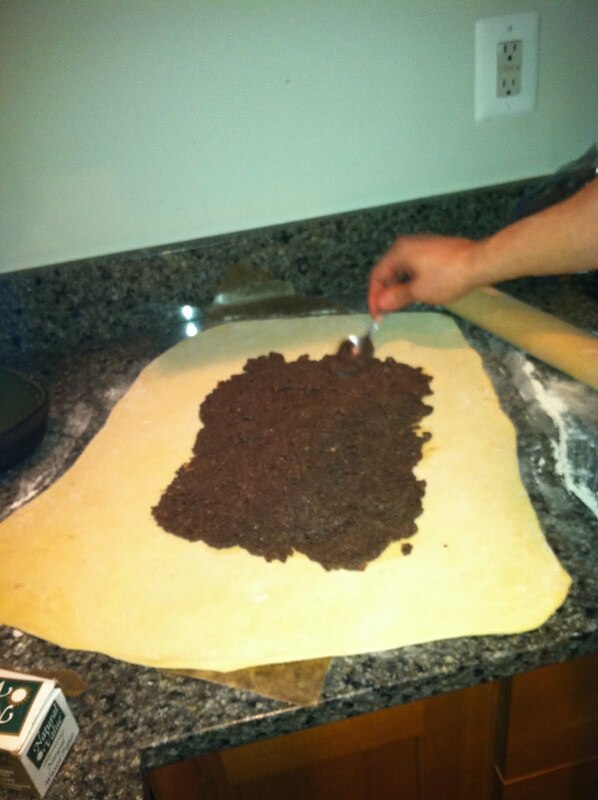 Most of the parts can be done simultaneously, like making the duxelles, rolling the dough, and seasoning the meat. A defrosted puff pastry, about the pliability of pie dough. 1. 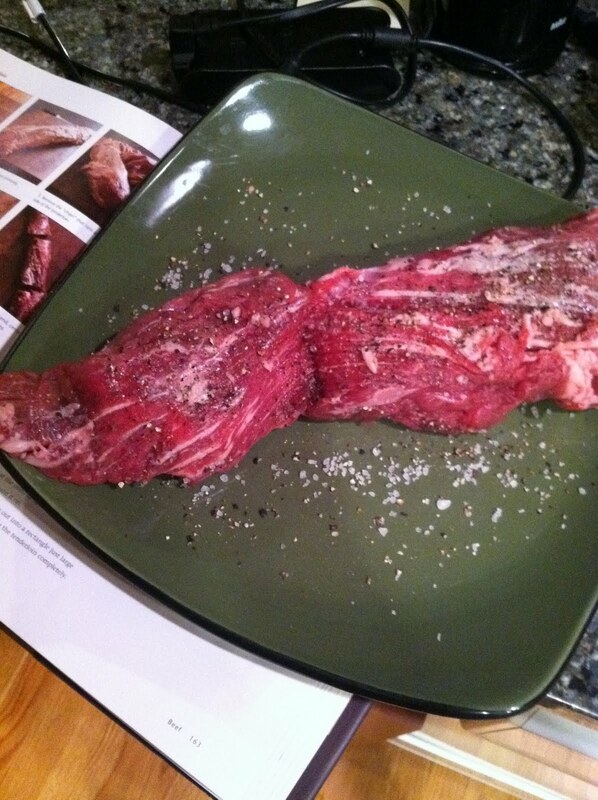 Take the beef tenderloin and rub in some salt and pepper. Set aside. Preheat the oven to 425 degrees F.
2. Put the mushrooms in a food processor and pulse until they are all minced up. Or mince them with a knife. Your choice. 3. Heat up a frying pan to medium heat. Melt about two tablespoons in the pan, then add a handful of the mushroom mash. Keep stirring it around. The mushrooms will absorb the butter, then start to release it. When they start releasing liquid, add another handful of mushroom mash and some butter. Repeat until all the mushrooms are cooked. 4. Once they are cooked, put them into a bowl and put in the refrigerator to cool down. 5. Either dust your countertop liberally with flour, or lay down some wax paper and dust THAT with flour. 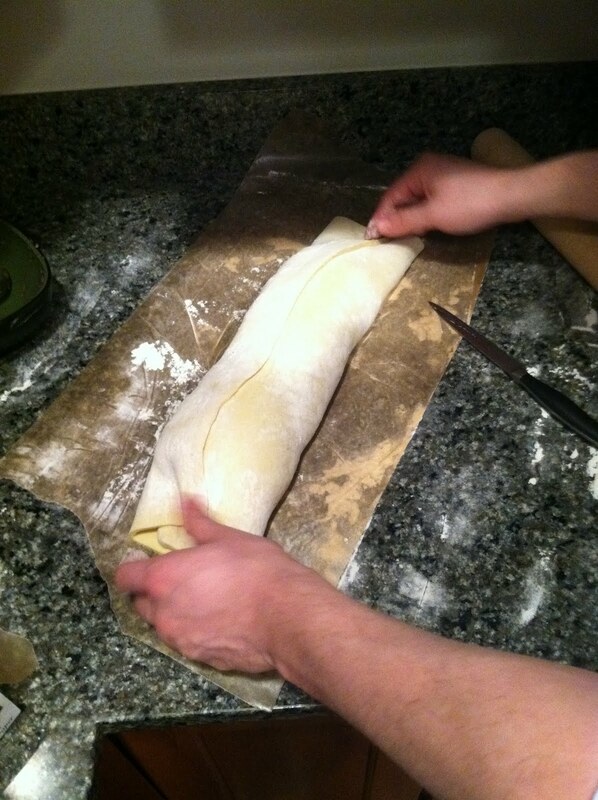 Take your puff pastry, lay it on the counter or wax paper, and dust the top with flour. 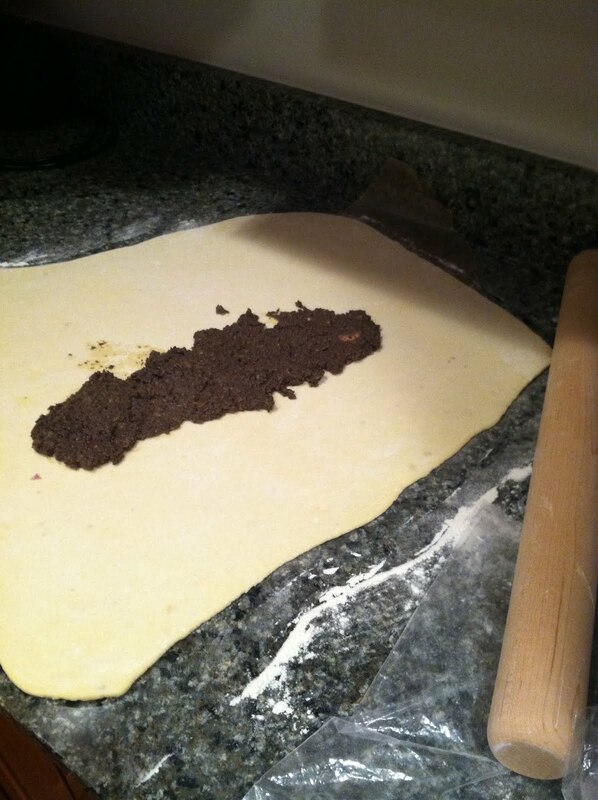 If you are using wax paper, now lay another sheet on top of the dough. 6. Start to slowly roll out the dough with a rolling pin. 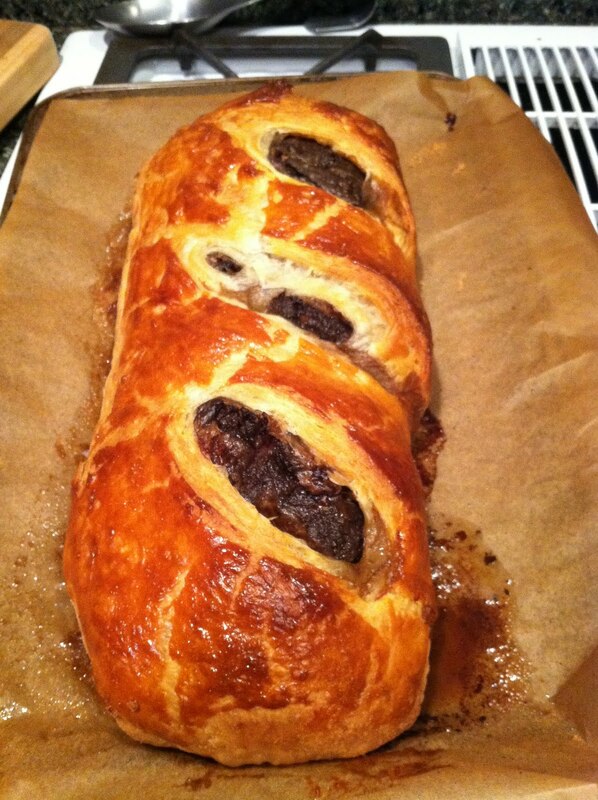 The wax paper is nice for this, but you do have to keep adding flour to keep it from sticking. 7. You want it REALLY thin. Like, 1/4 inch thick. 8. 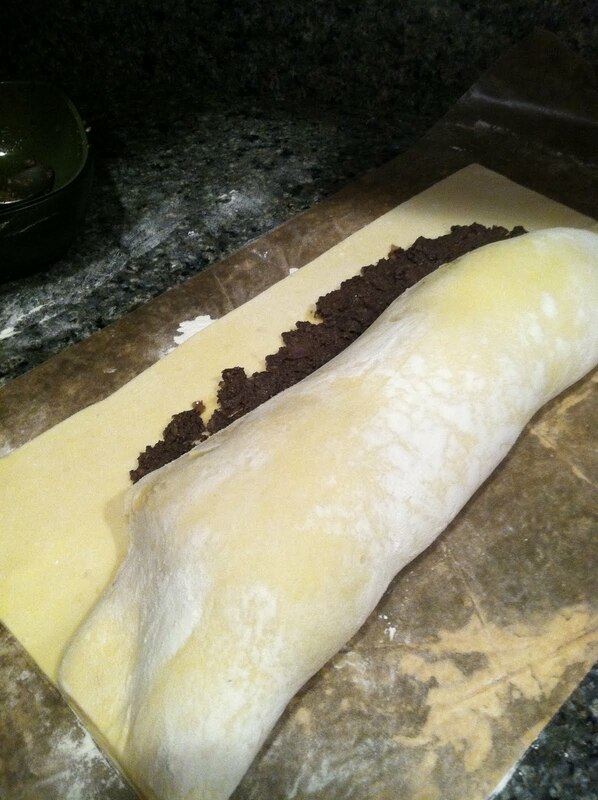 Take your cooled duxelle mixture and spread it onto the dough. 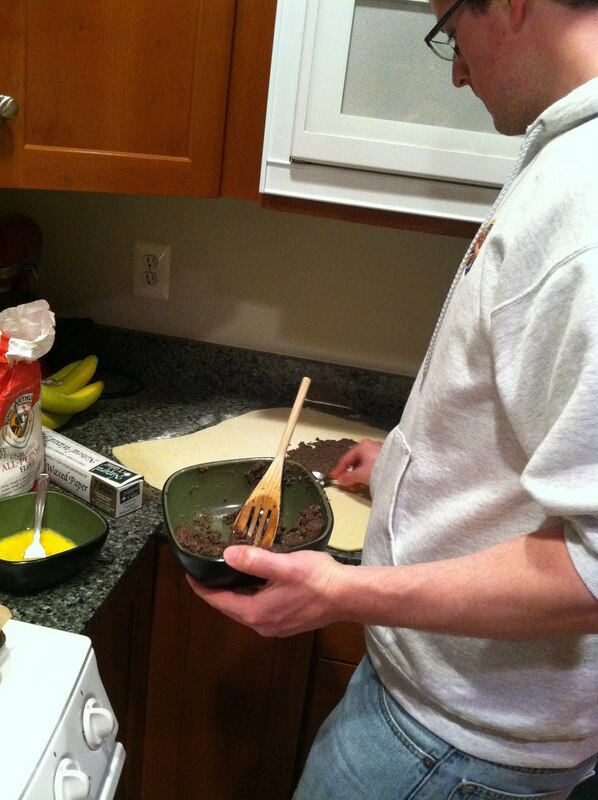 As you can see, the dough rolled out is about the size of two cookie sheets. 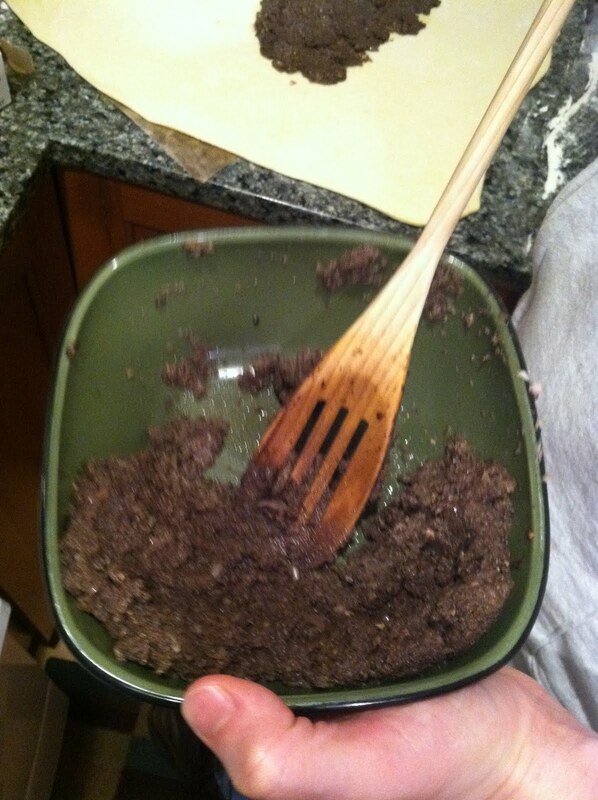 Spread out the duxelles using a spatula. 9. Now take your seasoned tenderloin and lay it on the edge of the duxelle mixture. 10. 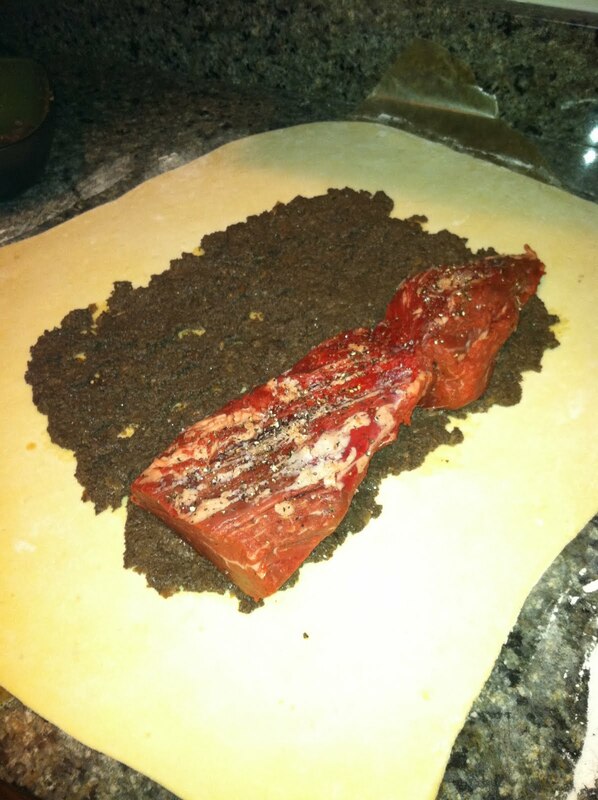 Carefully fold the dough over the tenderloin. 11. 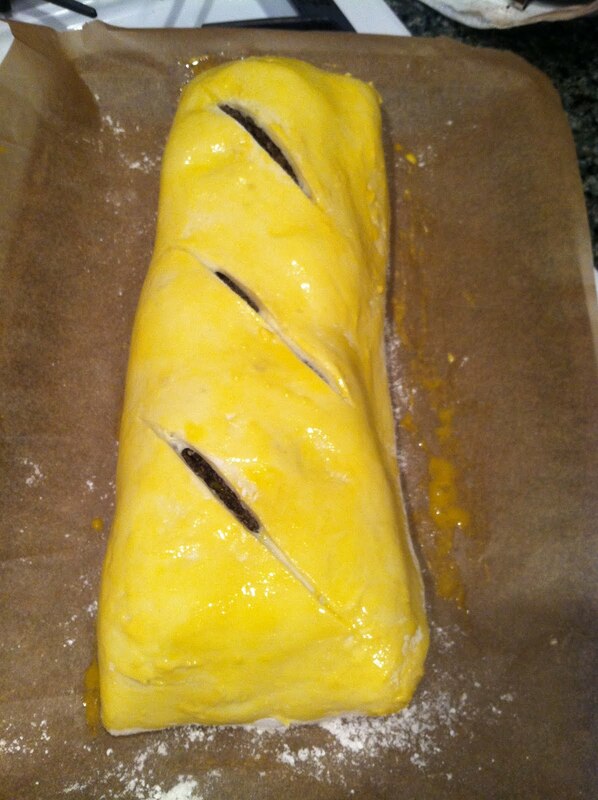 Cut off the overlapping sides of the dough to make a nice little package. Don’t worry, little scraps of puff pastry. I have something special planned for you. 12. Mix up the egg wash and spread it over the dough. Slash the dough and put in the oven. Mr. Bread Maiden was upset it was a little more done than he would’ve liked, but it was truly delicious. 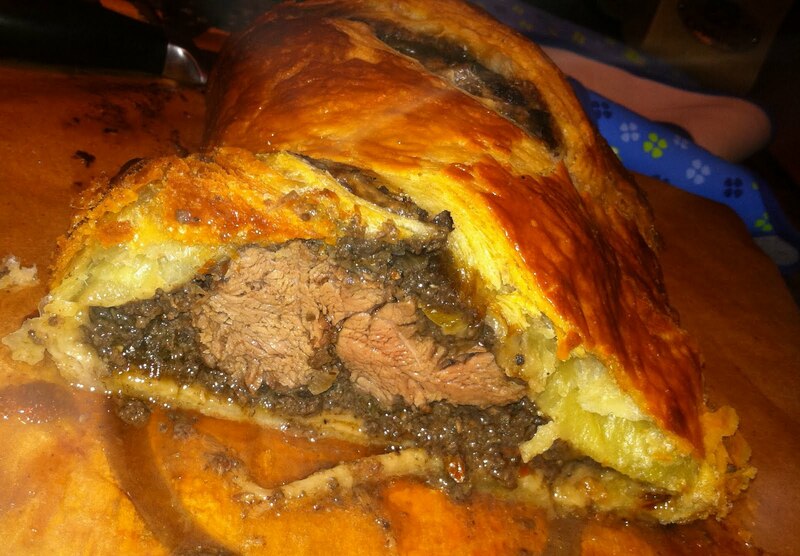 While you are letting your Beef Wellington rest, let’s get back to those dough scraps. You haven’t just thrown them away, have you? Because here is what you do with the scraps. Roll out the scraps and form into small triangles. 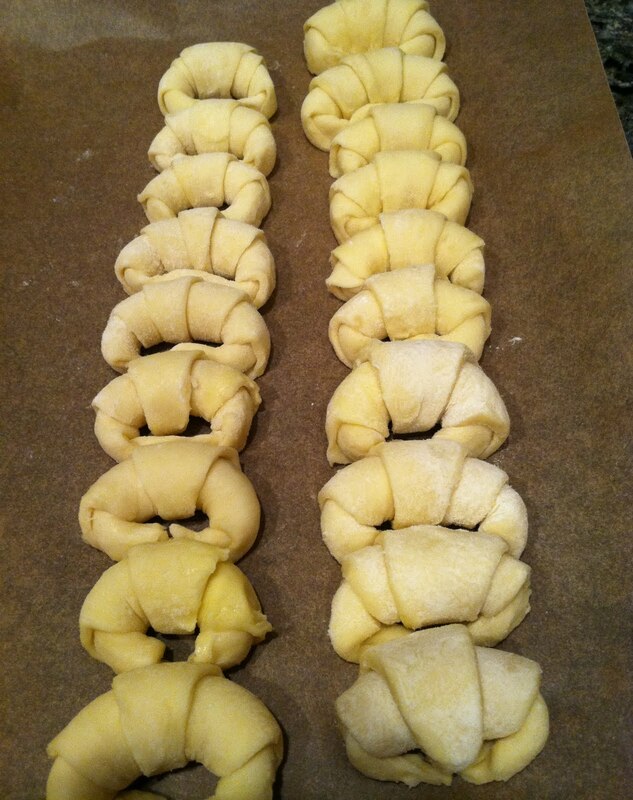 Roll up the triangles and carefully place on a baking sheet lined with parchment. 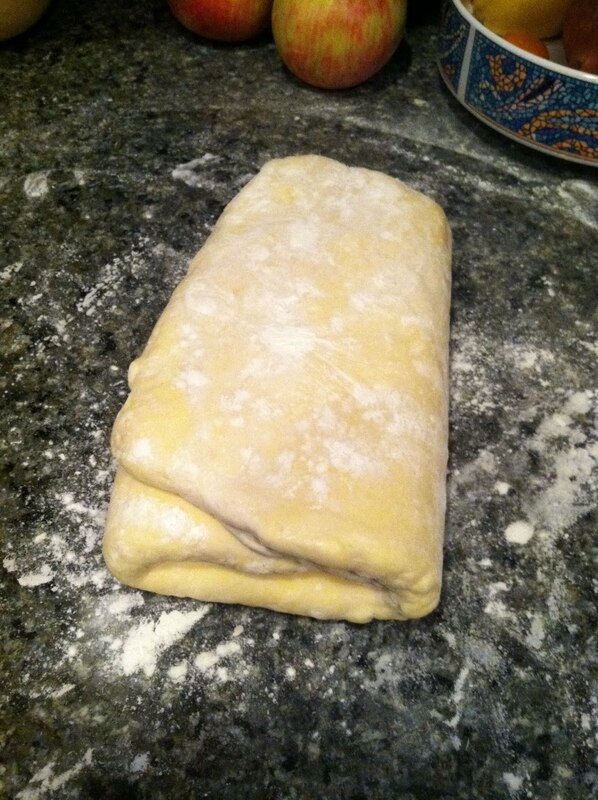 Pop the sheet into the refrigerator to rest the dough a little bit. For this part you can crowd the croissants a little bit, but make sure to spread them into two or three baking sheets before baking them to giving them room to rise in the oven. Preheat the oven to 425. 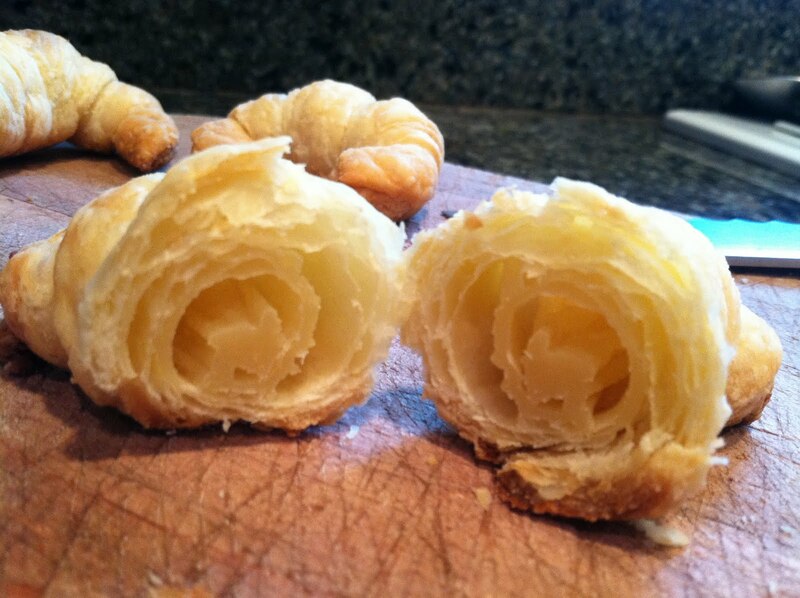 Slide in the croissants, then bump the temperature down to 375. Bake until brown and flaky, about 15-20 minutes. 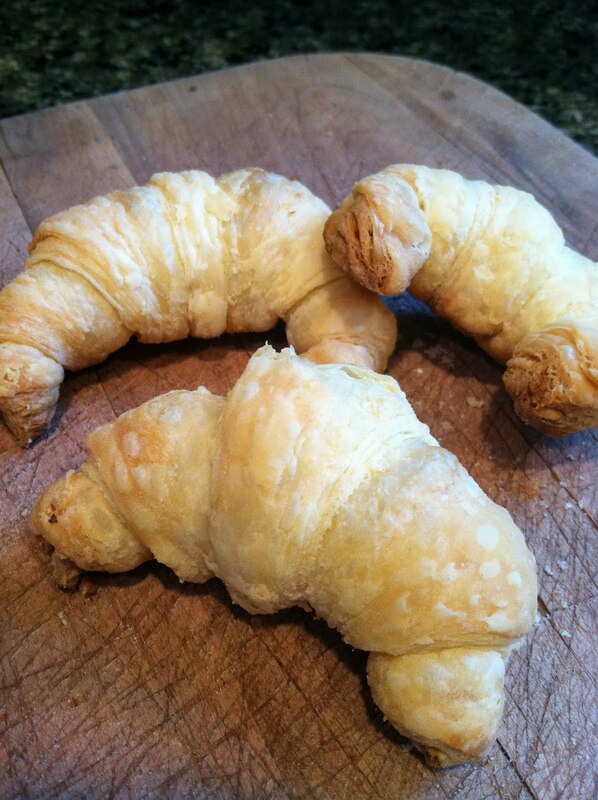 Here are the croissants. I forgot to take pictures of them when they came out of the oven, but here they are a few days later and still looking fabulous. These are best warm from the oven with jam. You want some sort of sweetener, since puff pastry dough doesn’t have much sugar or salt in it.